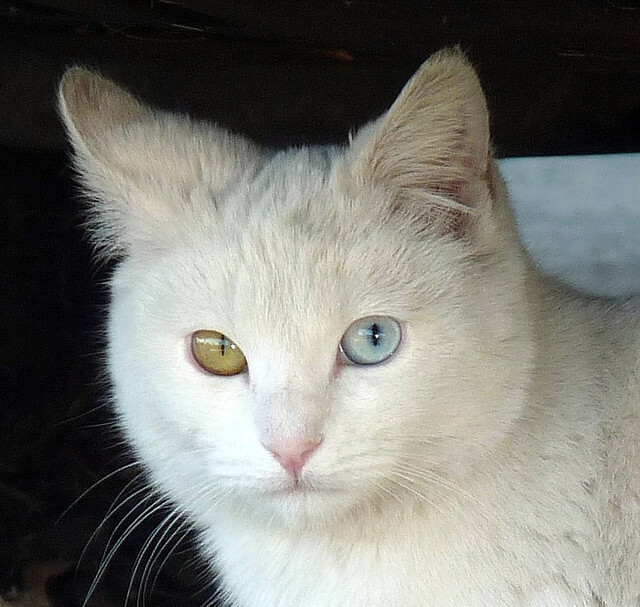 There are a number of reasons why animals can have one eye of one color and the second of another, but the term for the most likely cause is heterochromia. 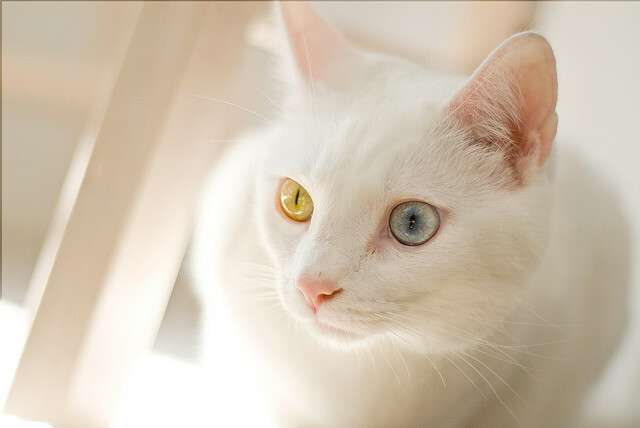 It is more often than not to do with melanin. 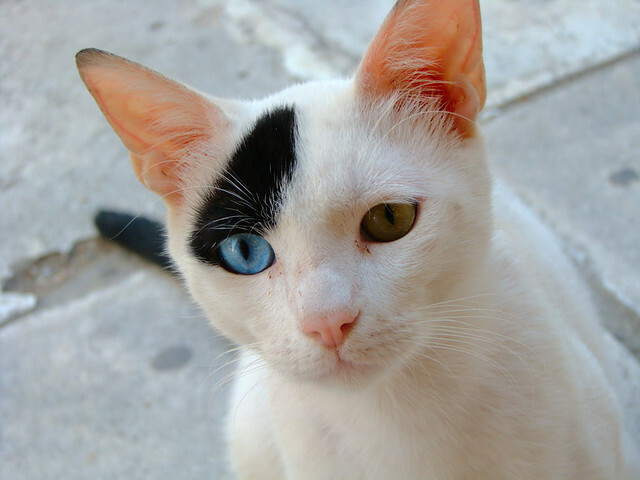 This is a pigment that is found almost everywhere in nature (spiders being a notable exception) and it dictates such things are skin and eye color. 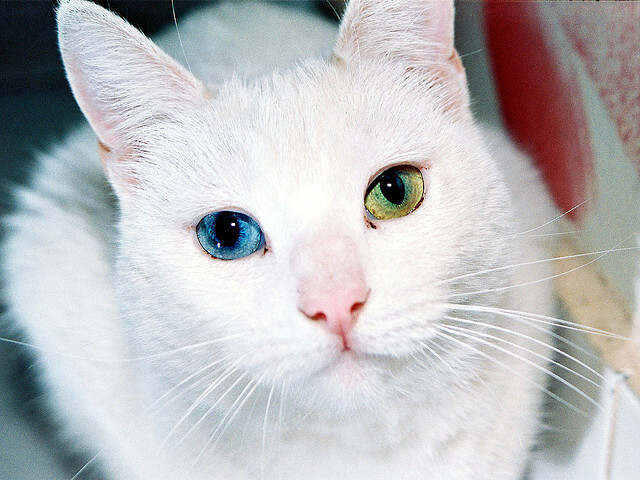 Heterochromia occurs when there is either an excess or a lack of melanin. 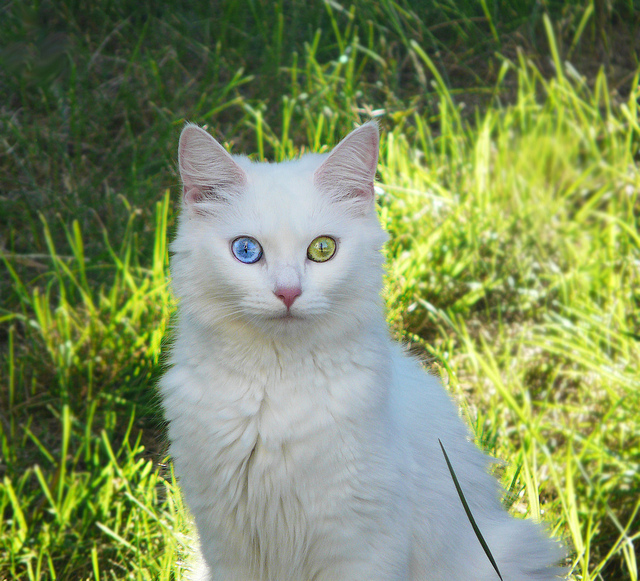 Although eye color can be affected by disease or injury when they are different colors the odds are that it is heterochromia which is the cause. 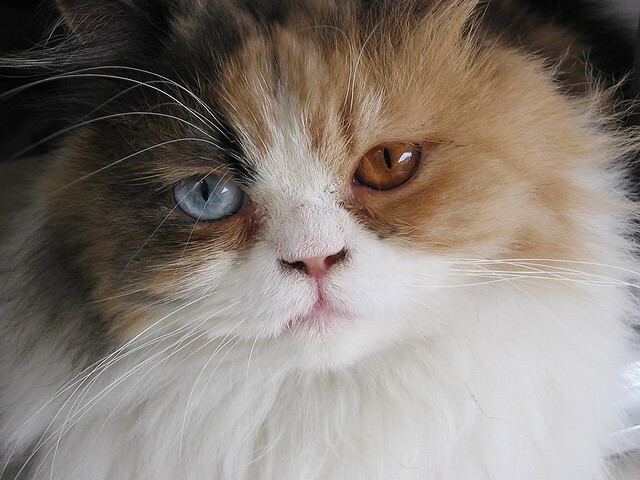 The color of the iris in particular is determined first and foremost by the concentration f melanin and in most cases the eye is hyperpigmented – there is too much melanin. 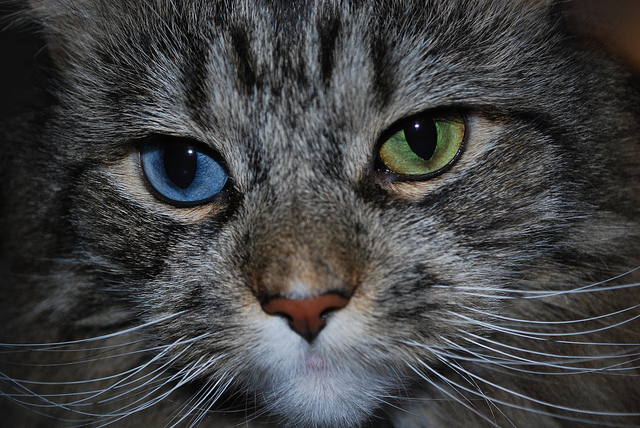 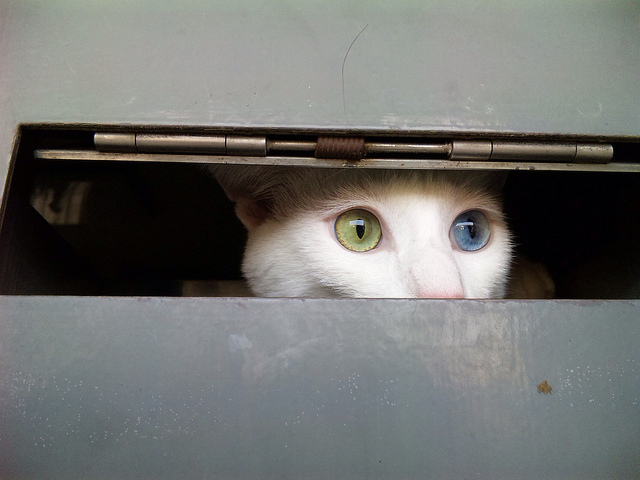 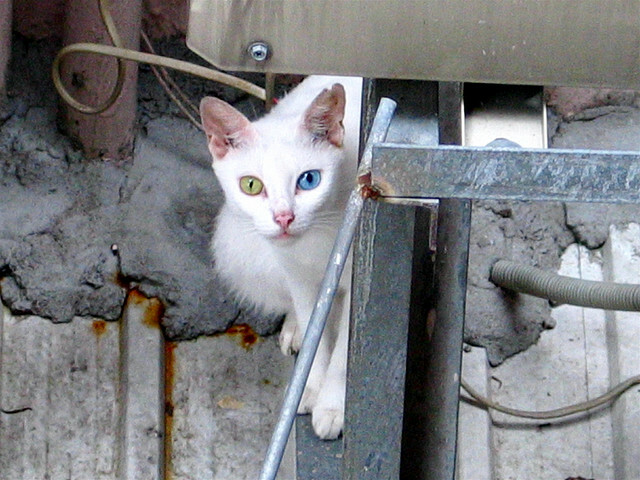 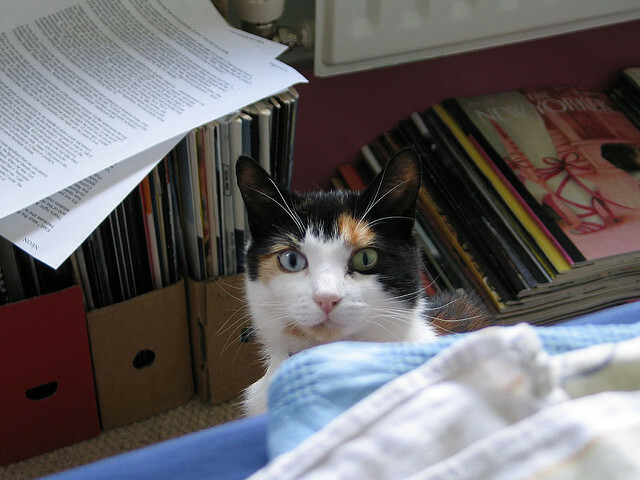 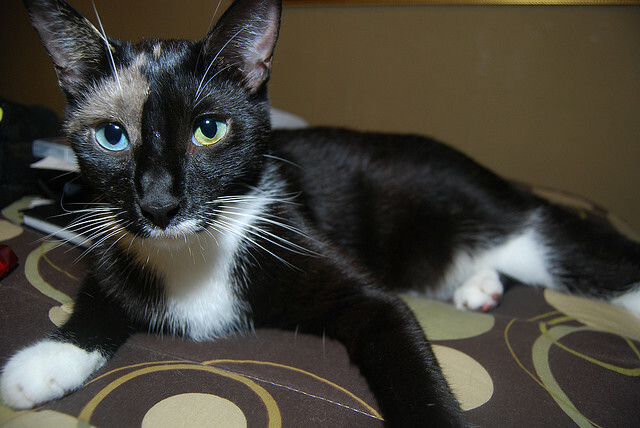 Complete heterochromia is seen often in animals such as cats and dogs. 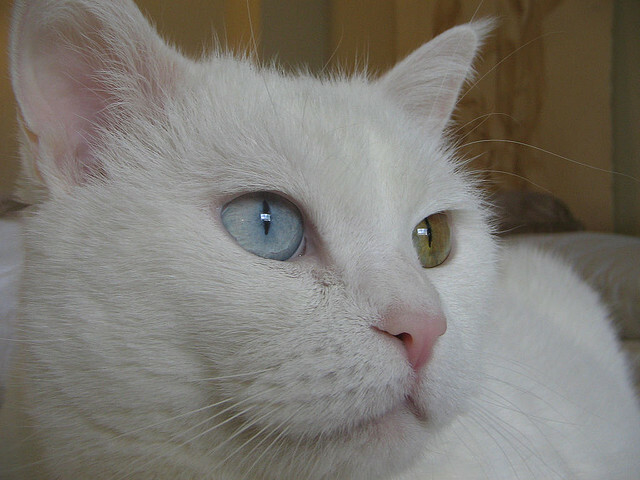 It almost always involves the affected eye appearing blue in color. 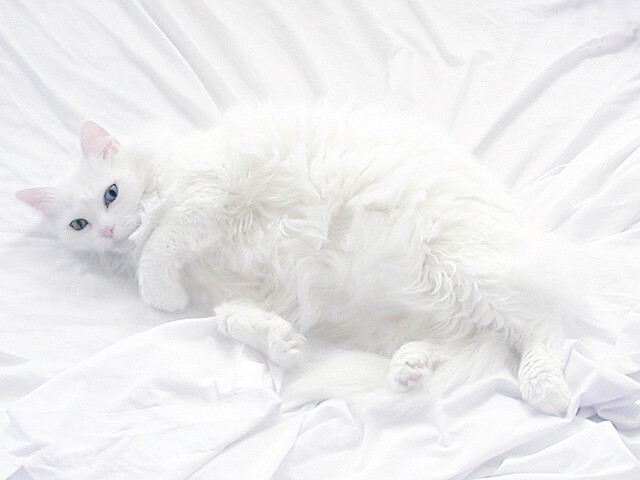 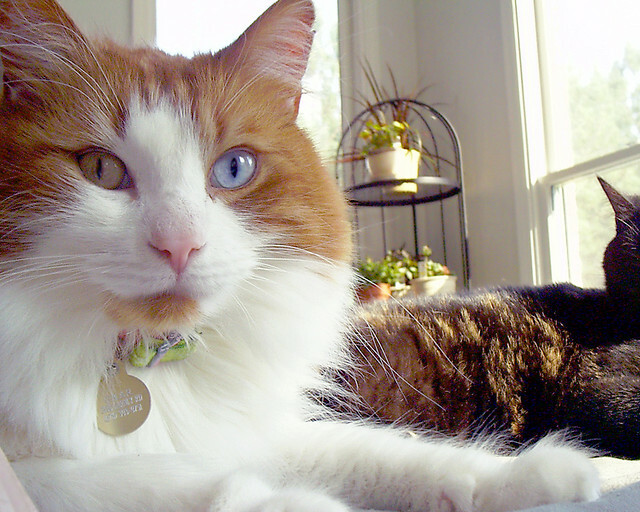 It happens in a white spot where melanin is absent – the cat species which seem to be affected are the Turkish Van and Angora. 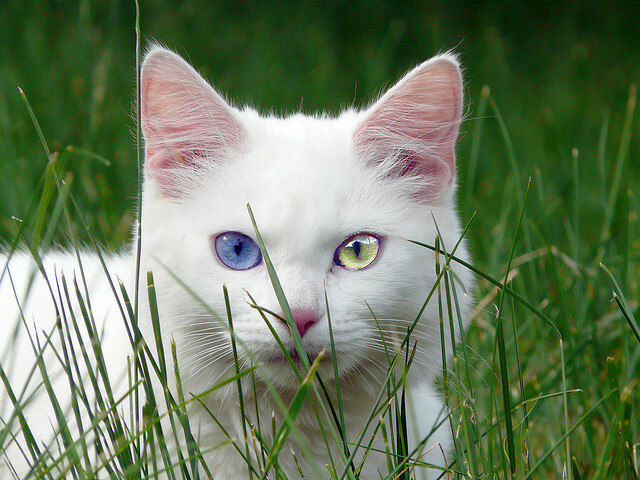 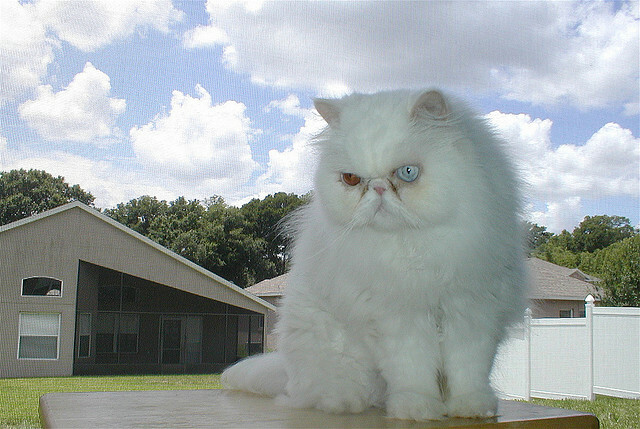 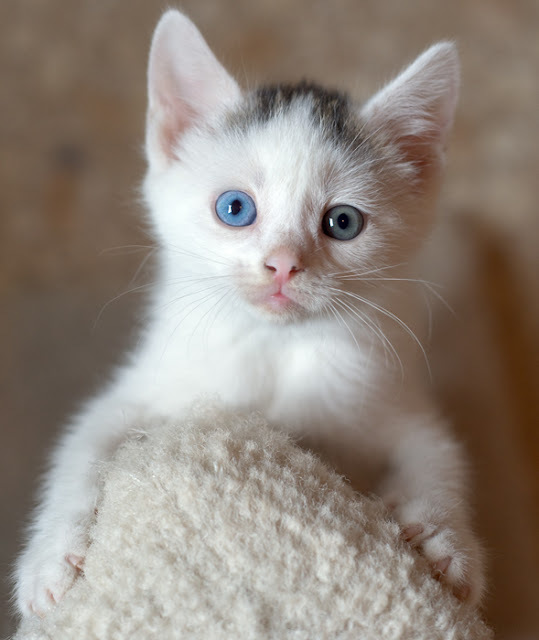 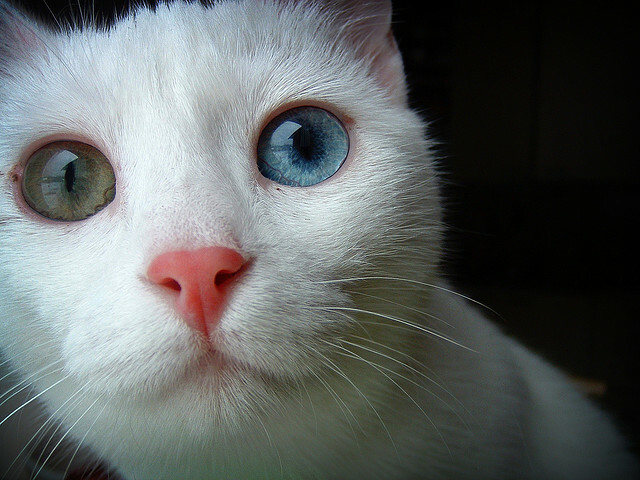 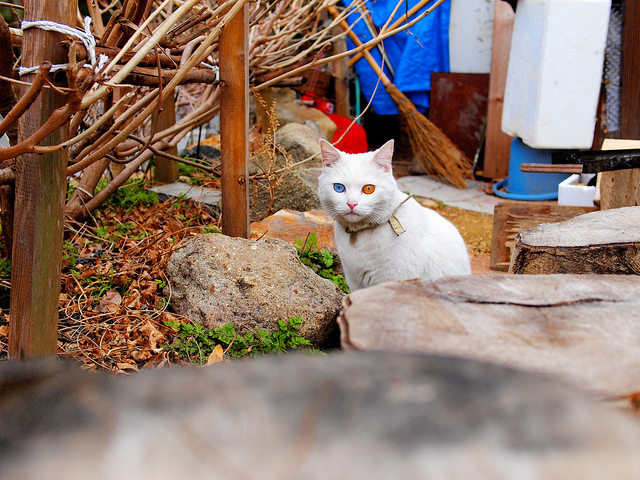 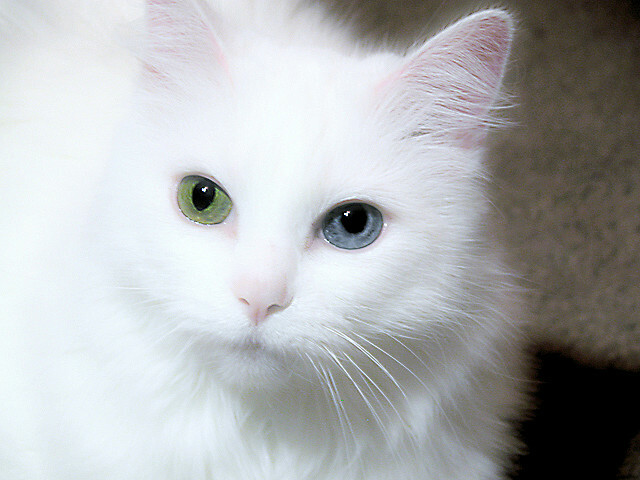 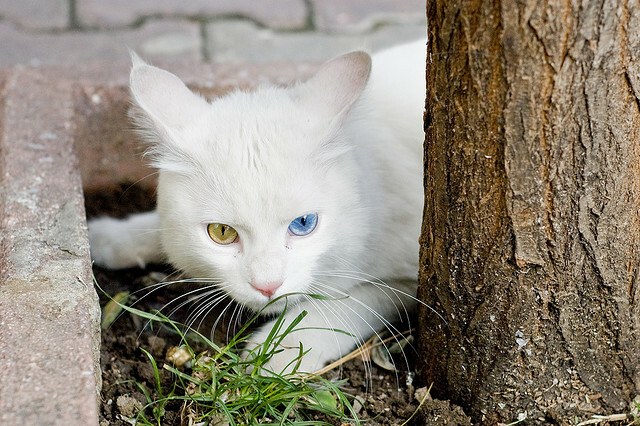 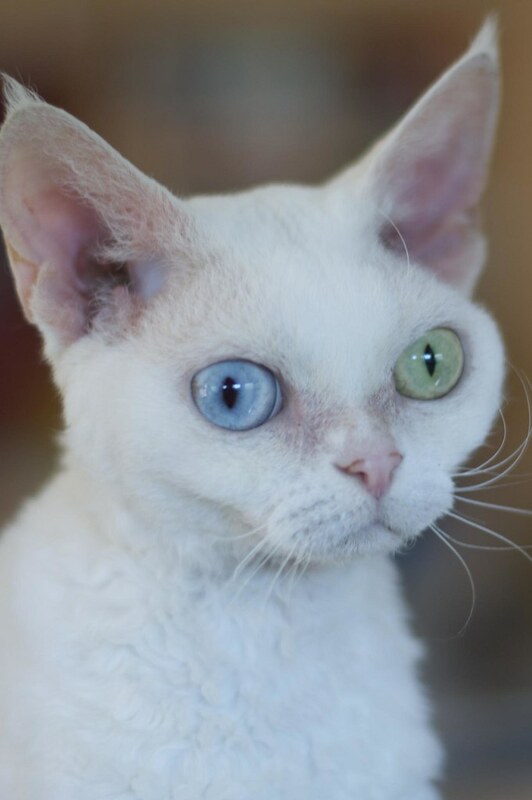 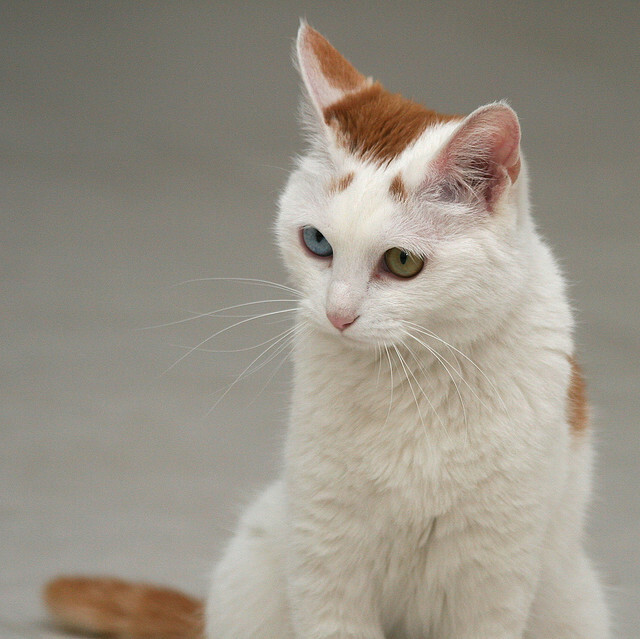 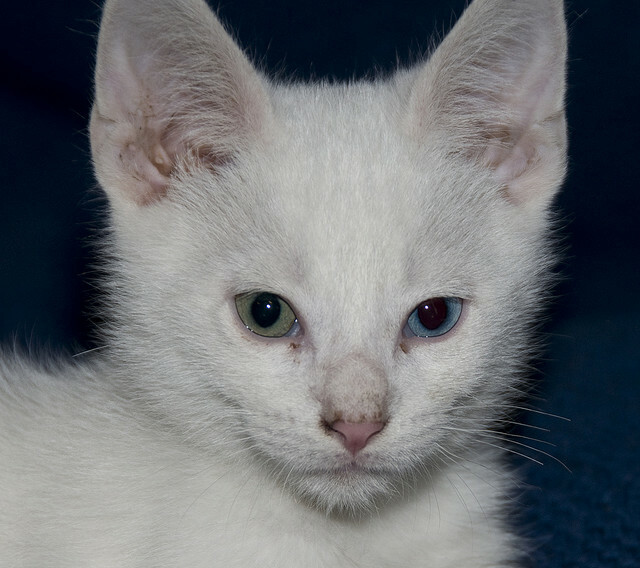 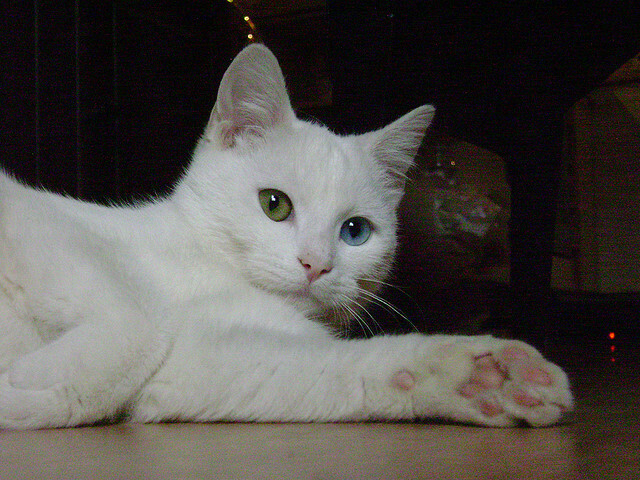 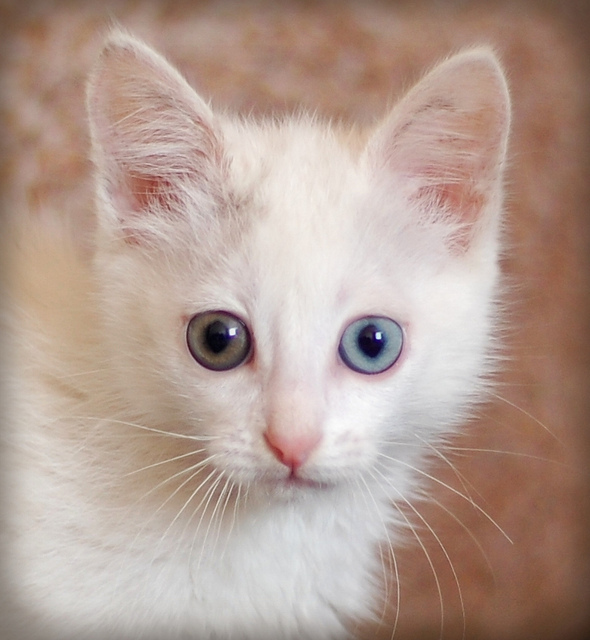 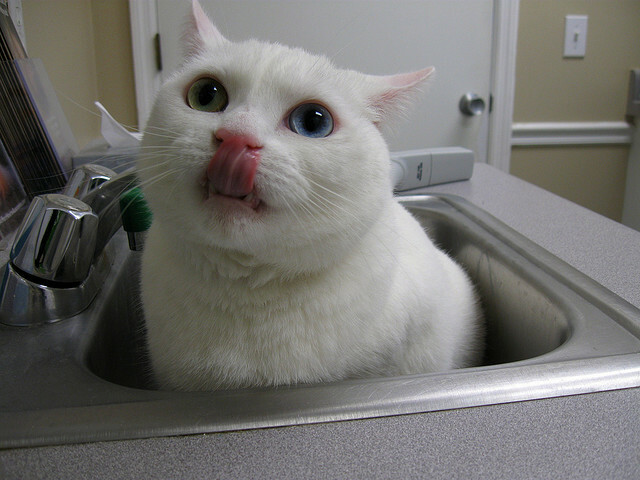 The odd-eyed cats tend to be white or mostly white and with one normal eye and one blue eye – altogether very striking. 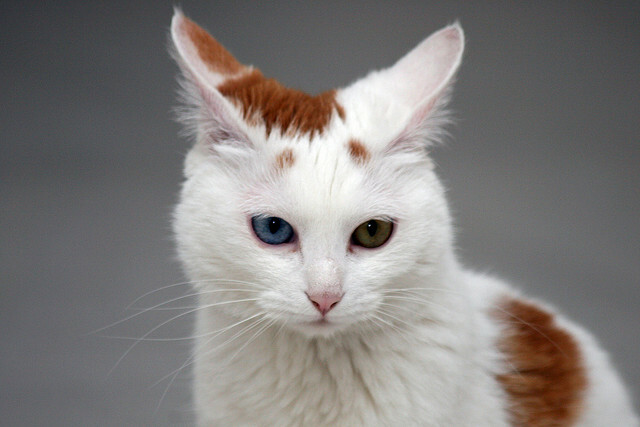 Among dogs the husky is often seen to have heterochromia and also the Australian Shepherd and the Catahoula Leopard dog. 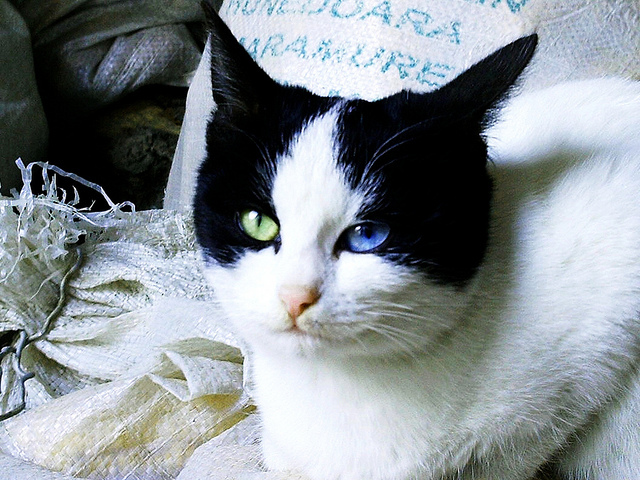 Horses too can have heterochromia, mostly common in horses with pinto coloring. 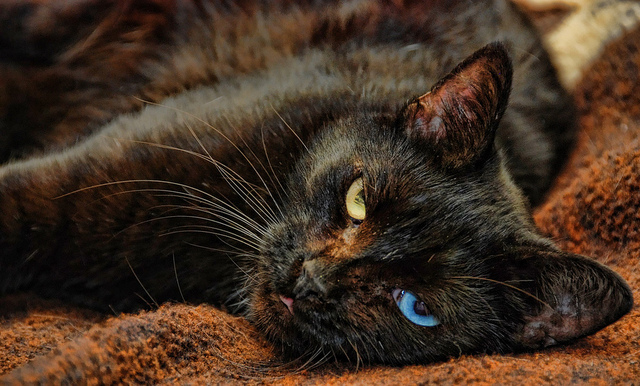 The condition has also been recorded in cattle – and even water buffalo! 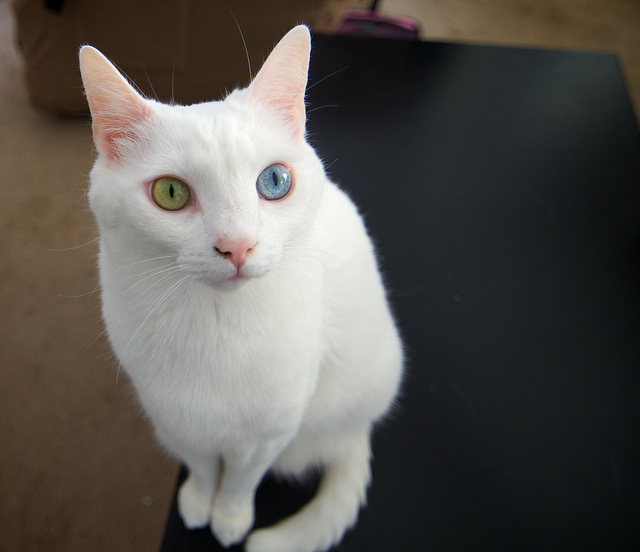 Ferrets too have been known to have heterochromia. 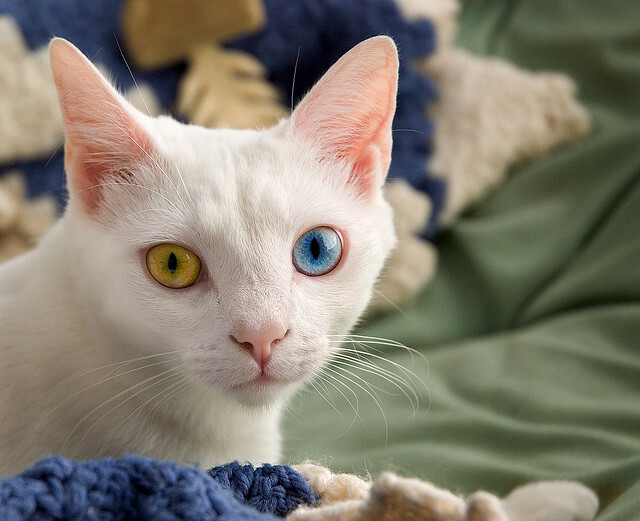 However, we think you will agree that these cats look quite amazing.